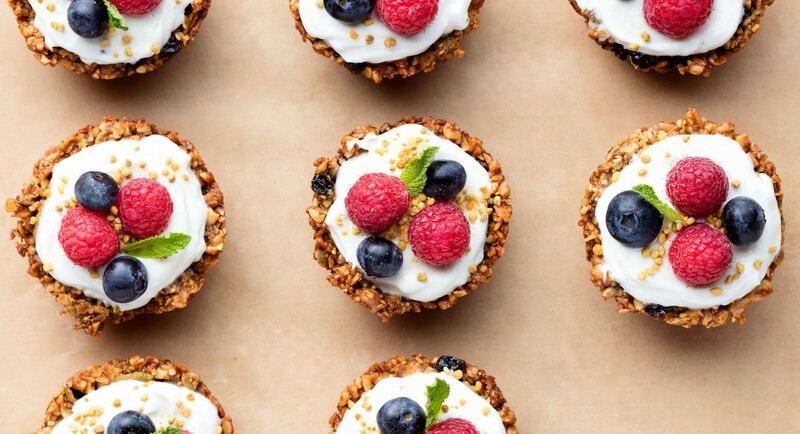 Adorable bite-sized granola tarts make the perfect Mother's Day breakfast-in-bed. Bake the shells the night before, then get the little ones to help add yogurt and fresh fruit before serving. 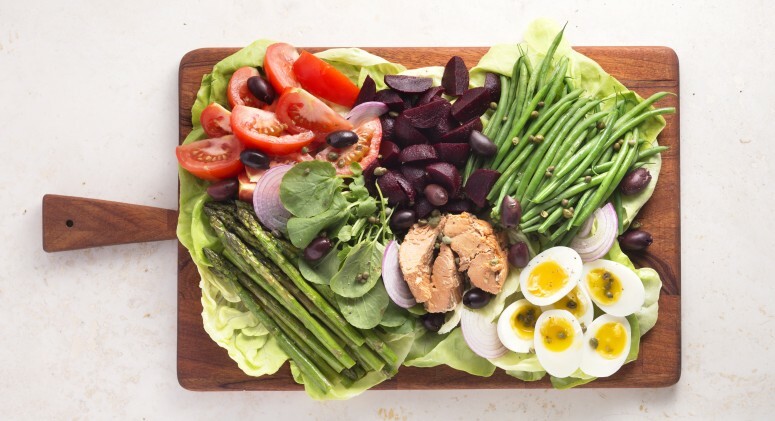 Added bonus: Everything is gluten-free and Paleo-friendly! 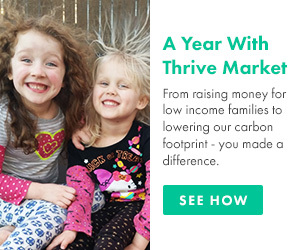 Preheat oven to 325 degrees and spray a muffin tin with non-stick spray. Place walnuts, cashews, and pumpkin seeds in the bowl of a food processor. Pulse a few times to break into small pieces the size of rolled oats. Transfer to a large mixing bowl and stir in coconut, raisins, and hempseeds. In a small mixing bowl, beat egg white and water until foamy. Whisk in coconut oil, honey, vanilla extract, cinnamon, cardamom, and salt. Pour over nuts and mix until fully coated. Press granola mixture in sides and bottom of each muffin tin. Bake in oven for 30 minutes. Once golden-brown and crispy, remove from oven and let cool on counter. 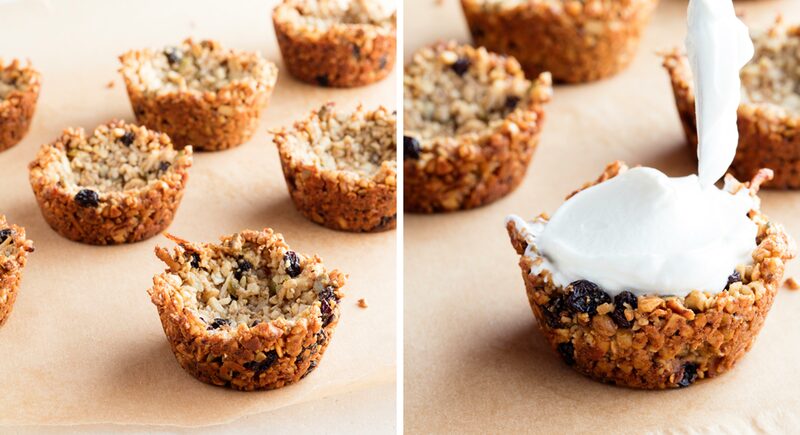 Remove granola tart shells from tin. 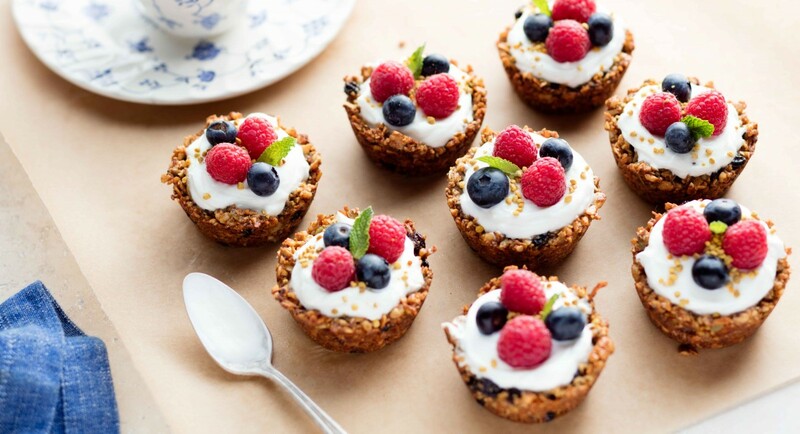 Fill tart shells with yogurt and top with blueberries and raspberries. Garnish with bee pollen, if using.